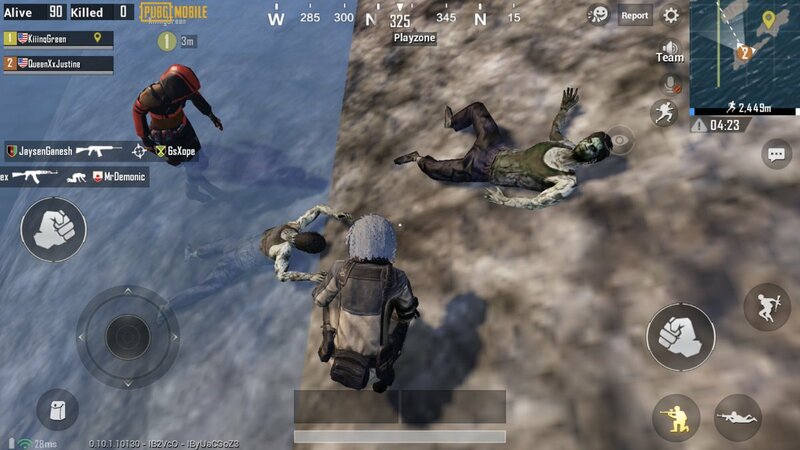 In the middle of December, we got the last PUBG Mobile update that brought us the snowy Vikendi map. Well, now it’s come time for the latest version 0.10.5. While it doesn’t include a new map, it does bring with it various improvements like new weapons, adjustments in the settings, and the start of Season 5 in the game. The update is starting to take off today and it’s not necessary to download the complete game all over again — it’s an internal installation of less than 200Mb that will start when you open the app. That said, even if you install it, you won’t see the new changes until tomorrow, specifically at 2AM UTC on January 19. While this is the official list of changes in the new version, it’s not out of the question that we might see evidence of the already announced collaboration between Tencent and Capcom for the upcoming Resident Evil 2 Remake. Although there’s no specific information yet, all signs point to new game modes that you have to complete with hordes of zombies. Although, we still don’t know if they’ll be controlled by AI or fallen players in combat. Various users have discovered a few clues in the beta version of the game with zombies scattered throughout secluded areas of the map. Added the MK47, that can be found in the Erangel, Miramar, and Sanhok maps. It shoots 7.62mm bullets and has two fire modes. Added laser sight, a small rail attachment that reduces response speed. This can be found in all maps. Vikendi is now available as a map when you create rooms. The “classic” voice is back! You can find it in the settings after the update. The Spawn Island announcements can be enabled or disabled in the settings menu. The Season 5 Royale Pass is here! New premium skins and animations are available as rewards. There’s also an update of events for all servers. The Season 5 ranked mode is also here! Tiers are adjusted and new rewards are added. The resource refresh in Vikendi has been adjusted (type and quantity). The model for swimmer sandals has been updated and the “Share for Deals” system is back with some adjustments. The clan rewards have been adjusted. The Crew Challenge winners display has also been adjusted. The shop has also been updated. Supplies can be accessed from the main menu.